House cleaning one of the most important yet tiring works to do. And when it is that time of the year when you want a complete house cleaning all of the people are slipping away just to avoid the effort it takes to do a thorough cleaning. But this blog got suggestions so that you could efficiently clean the house and also in less time. We know house cleaning is a difficult and tedious task, but if you plan it well, you can pull this off more easily. Moreover, if you have a vacant house with much things in it that you can’t take care of yourself, you should contact a junk removal service, which will do a complete house clean out for you. So, we were talking about house cleaning in the meantime. Let’s start step by step or should we say, room by room to get this done. Begin this quest with bedrooms. First, strip all the linens and start remaking beds. After you have finished, dust off all the things properly. Later using a vacuum cleaner vacuum, the whole room. Yes, right that is the time when your room is done shining like a new car. Taking a trip around all the bathrooms in the house. Clear all the shelves and place things in their right position where they have to be in each bathroom. Change the towels. See if something is finished and replace it with a new one. After that, clean the mirrors. But wait, rinsing the tub should be done before that. And in the end, clean the floor. First of all, gather all the clutter, toys and everything spread off the floor. Beginning from one corner of the living room dust off all the shelves and the decoration items one by one. After you have finished dusting, vacuum all the dust from the floor using a vacuum cleaner. Firstly, do all the dishes. Dry them and put them back into the cabinets. Afterward, clean all the shelves. Replace the lids of the boxes if there are any and put them all to their original places. Clean the stove and the appliances. Afterward using a wet mop clean all the cabinets and finish them off with a clean water-soaked wipe off. After you are done with all the carpeted areas of the house now comes to the floors. Vacuum the hard floors for all the dust and garbage. Using a vacuum is more convenient because it prevents the dirt from getting into the air and cause any kind of allergy. Afterward, use a steam mop. Mop all the floors and let them dry. Avoid walking while it is wet to avoid footprints. This will keep the hard surfaces of the house neat and in a better condition and also reduce chances of scratches. Now after you have attended all the parts of your house just take a second and look around yourself. 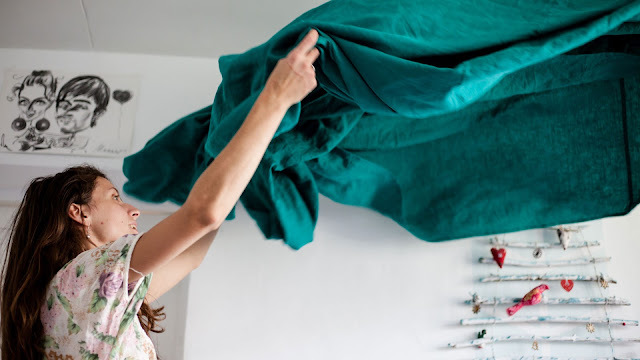 Give a gentle pat over your shoulder because yes you have done this and successfully accomplished house cleans out without getting stressed out. If you need house clean out service instead of house cleaning, you are encouraged to hire a junk removal service to handle that professionally and to make you able to get rid of junk.